From Ashford Handicrafts, New Zealand. The Corriedale sheep is found on sheep farms all over New Zealand. Its wool has a clear, even crimp and is smooth and easy to spin or felt. The sheep are well cared for and are not mulesed. 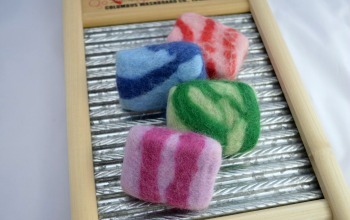 Excellent wool felting fiber as well as wool spinning fiber. Excellent spinning wool for beginning spinners. Spin to a fine to medium woolen, worsted, or semi-worsted yarn. Corriedale will bulk after washing and has good elasticity, Also a good felting fiber, especially good for needle felting. Comes in a wide range of 56 colors and 4 natural sheep colors, so it is fun to use for blending experiments. See color samples below. Micron count: 27-30. Staple length is approximately 4 1/4 inches. Natural (Ecru) is the closest to white. Is it the natural unbleached color of sheeps wool, so it’s off-white or creamy, but looks white next to the other colors. On the best color for Caucasian SKIN TONE. Camel is the closest to an olive complexion. It works best for the faces on older characters, gnomes, trolls, ect. Cherub is a peaches and cream complexion. Best for fairies, babies and fresh bright faces. 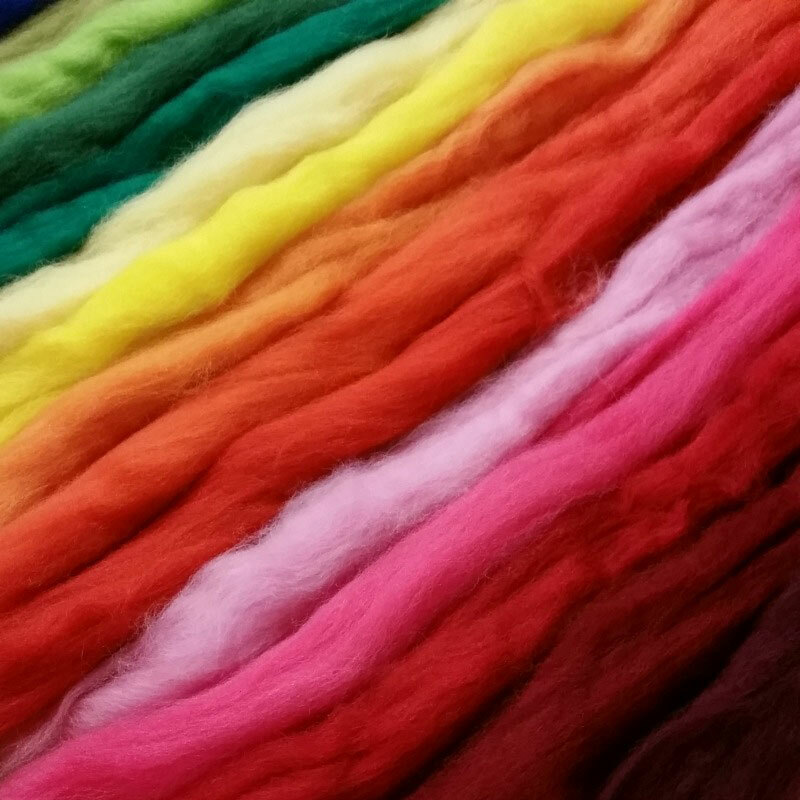 This is the fiber we use when we teach both spinning and felting. It’s easier to draft then combed fibers, and more forgiving when felting then merino or fine wools. ficult to get a photograph or scanned image to show the true colors, especially with something with such depth and luster as wool. These photos can only give you a representation of the true colors. We do offer a physical color card as well. Find inspiration in these amazing 4-ounce color-coordinated fiber assortments. The possibilities are endless with a Jar of Inspiration! Super soft top from Baby Camel down. Rich color.